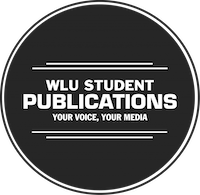 WLU Student Publications is pleased to announce that we have hired Bryn Ossington for the position of Executive Director. Bryn was chosen due to his experience and knowledge of fundraising, non-profit governance, and best media practices. Bryn started with Student Publications in 2008 as Chair of the Board, followed by two years as President and CEO. We are excited to welcome him into his new role. To contact Bryn, email bryn.ossington@wlusp.com.